The latest version of the Google app beta reveals the codenames that are being used for the Pixel 4 and Pixel 4 XL. Spotted by 9to5 Google, the app reveals that "coral" is the Pixel 4 and "flame," as in flame angelfish, represents the Pixel 4 XL. Google is obviously sticking to its tradition of using the names of fish for these internal codenames. As it turns out, we've seen the "Google Coral" name used before on a benchmark test. The Geekbench test revealed a device powered by the Snapdragon 855 Mobile Platform, equipped with 6GB of RAM and running Android Q. This certainly sounds like what we might find on the Pixel 4. Last month, a leaked image of the Pixel 4 suggested that we will see the next high-end Pixel models carry a dual-camera setup on back. The first three generations of Pixel phones have had only one camera on the back. Despite the lack of multiple sensors, Google's processing software has helped the Pixel name become synonymous with outstanding smartphone photography. 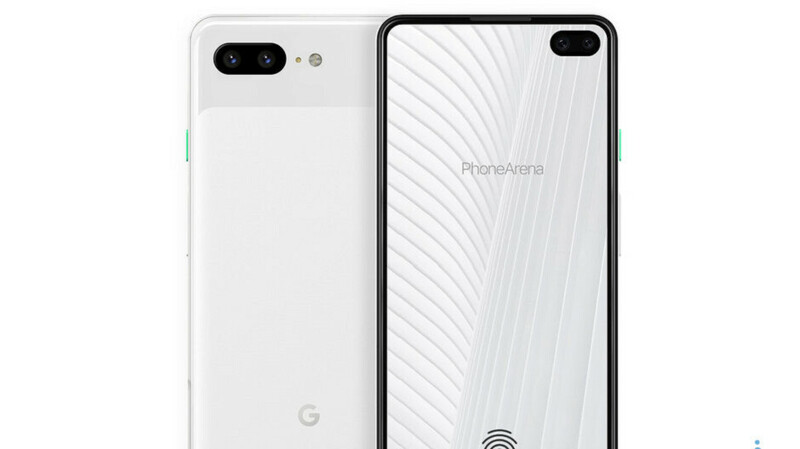 If the image is legit, the Pixel 4 series will also sport a pair of punch-holes in the display to house the front-facing dual-selfie snappers. And we could see the Pixel 4 and Pixel 4 XL use an in-display fingerprint sensor. The Pixel 4 series most likely will be unveiled in October. Before then, possibly as soon as next month during the Google I/O developer conference, the mid-range Pixel 3a and Pixel 3a XL could both be introduced. And yes, both of those models have "fishy" codenames. The Pixel 3a is known internally as "Bonito" with "Sargo" used inside Mountain View to indicate the Pixel 3a XL. And later this year, we just might see Google making its first smartwatch official. Back in January, another AOSP page mentioned the codename "medaka," which reportedly is the codename for the Google Pixel Watch. And in case you were wondering, the medaka is a Japanese rice fish. If the phone looks anything like the render used in this article. I would be seriously tempted to switch from my iPhone 7 to Pixel. LOL yeah. The picture seems cool. It's it just the Galaxy S10 Plus? Well...Google makes software, not hardware. They need to buy those screens from Samsung. Like Samsung neds the software from Google. I guess my biggest problem with S10 Plus is that there is no curve free option (only s10e) and for some reason almost every Android OEM decided to keep bottom chin bigger than rest of phone. Irrespective of their reasoning, a flat screen, symmetrical bezel phone feels very classy, like this render. Yup, IMO the renders phoneArena now designs themselves usually look fantastic!